Microsoft Corporation (MSFT), Google Inc (GOOG), Facebook Inc (FB): Is Buying Growth Companies Worth It? Leading growth companies have been trying to maintain their high growth rate in revenue by advancing to new regions, products and services. They’re doing this by acquiring other smaller growth companies. Is it worth buying companies to reach higher growth? Let’s examine several multi-million dollar acquisitions, such as the Microsoft Corporation (NASDAQ:MSFT)/Skype deal, and analyze how these transactions impacted the companies that paid for them. Maintaining high growth isn’t the only reason leading companies, such as Google Inc (NASDAQ:GOOG) and Microsoft Corporation (NASDAQ:MSFT), acquire other tech businesses. It’s also a chance to integrate their core businesses with the newly-acquired technologies. But companies that purchase other businesses should also look for a return on investment, or ROI, which could be positive only if the investment is profitable. By the end of 2006, Google Inc (NASDAQ:GOOG), the search engine giant, acquired YouTube for approximately $1.7 billion. Since the acquisition, YouTube has been growing very rapidly – the company reports it has more than a billion unique users who visit its site every month. Google integrated Youtube with its AdSense ads-platform. Google Inc (NASDAQ:GOOG)’s search results also integrate videos by Youtube. Unfortunately, for a long time, YouTube wasn’t profitable. It is also questionable whether this acquisition, more than six year later, has returned the investment. Some speculate that YouTube more than returned its investment last year. But even if the company has yet to return its $1.7 billion investment, the ongoing growth in both revenue and users is likely to eventually lead to profits that will also lead to a positive ROI. Since Google Inc (NASDAQ:GOOG) has a gross profit margin of 63% from advertising, this makes it very likely that YouTube, one of the main components in Google’s advertising business, has a chance of reaching profitably. On the other hand, Google Inc (NASDAQ:GOOG)’s $12.5 billion acquisition of Motorola Mobility will take a very long time to reach a positive ROI. In 2012, the gross profit from Google’s Motorola Mobility operations reached only 16%, but Google is trying to advance its mobile operations with the many patents Motorola Mobility has. So the jury is still out on this matter. But the intense competition in the mobile market and the relatively late arrival of Google Inc (NASDAQ:GOOG) to this market are likely to make it very difficult to see a positive ROI anytime soon. The purchase of Skype for $8.5 billion was a higher-than-anticipated price tag. Microsoft Corporation (NASDAQ:MSFT) purchased the company from eBay Inc (NASDAQ:EBAY) in 2011 for almost three-times the price eBay Inc (NASDAQ:EBAY) paid for Skype six years earlier. Skype is reported to have lost nearly $7 million in 2010, which made this company a non-profitable endeavor, at least when Microsoft bought the company. 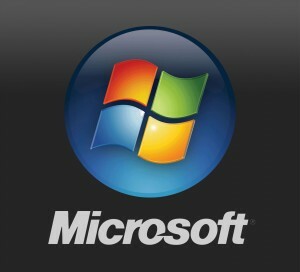 Microsoft Corporation (NASDAQ:MSFT), much like Google, doesn’t separate its Skype operations from other operations. But a close examination of Microsoft’s annual financial report reveals that the “entertainment and devices division” under which Skype is grouped grew 7.7% in 2012 mostly driven by Skype (according the financial reports). But the division’s operating profitability was only 4%. Part of the reason was due to the sales and marketing expenses of $244 million related to Skype. The decline in profit margin from 15% in the fiscal year of 2011 to only 4% in 2012 calls into question whether or not Skype was actually profitable in 2012.